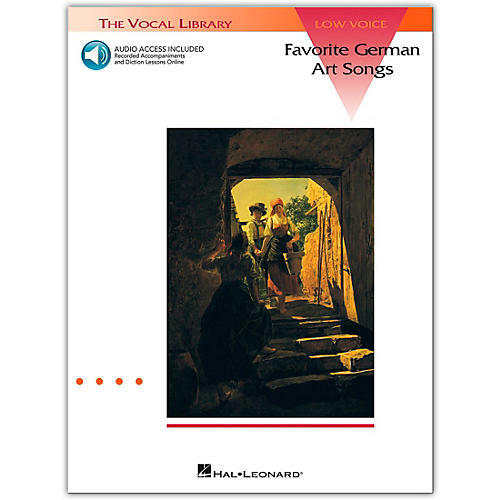 All student singers study the classic German Lieder at some point. Hal Leonard has chosen the most often-sung of these songs for this collection, and have recorded top-notch accompaniments for each of the songs. Pianist for the recordings is Gary Arvin, a specialist in song literature on the faculty of Indiana University. Includes translations and IPA pronunciation guides. This collection is sure to be used by singers at all levels, from high school contest soloists, to collegiate singers and professionals. Contents: "Allerseelen" (Strauss) • "An die Musik" (Schubert) • "Dein blaues Auge" (Brahms) • "Der Nussbaum" (Schumann) • "Die Forelle" (Schubert) • "Der G¤rtner" (Wolf) • "Heidenroslein" (Schubert) • "Verborgenheit" (Wolf) • "Widmung" (Schumann) • "Wie Melodien zieht es Mir" (Brahms) • "Zueignung" (Strauss).